The theme of this blog is noticing magic, and for me, one of the most magical things is the colored lights all over the city. I look forward to seeing them every December. The winter days are short; it gets dark at 4:30 in the afternoon, and the Christmas lights are a huge comfort when I have to walk the dogs in the dark. 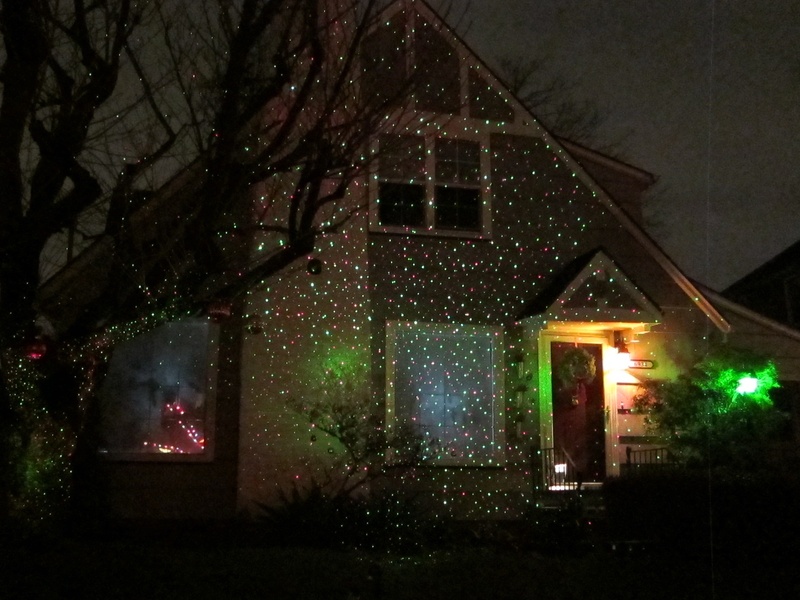 On nights like this I wander; if I see pretty lights on one street, I go that way, and then on to the next… and that’s how I discovered this one on NE Alameda — tiny lights twined through the tree branches, all over the front of the house, and trailing across the front yard lawn. It was so different, and utterly magical. 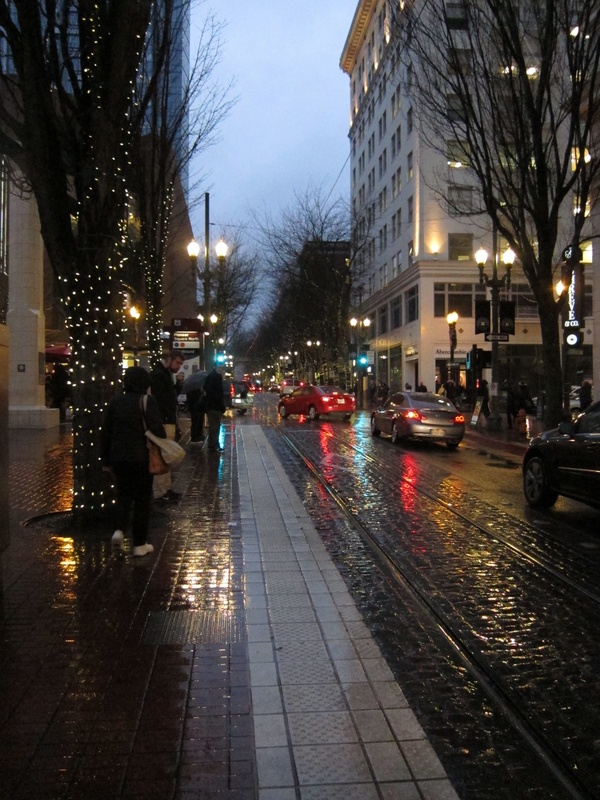 We’re having the wettest December on record, and though cold, the downpour and growing darkness made downtown Portland a magical sight; on days like this, I love living in the city. I was so enchanted, I missed my bus, just needing to wander around a bit more. 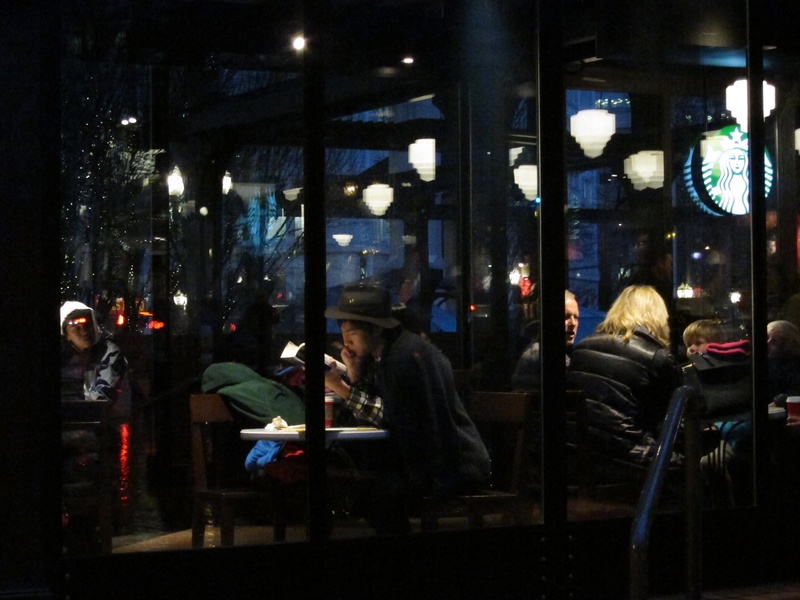 Starbucks at Pioneer Courthouse Square looked very cozy. 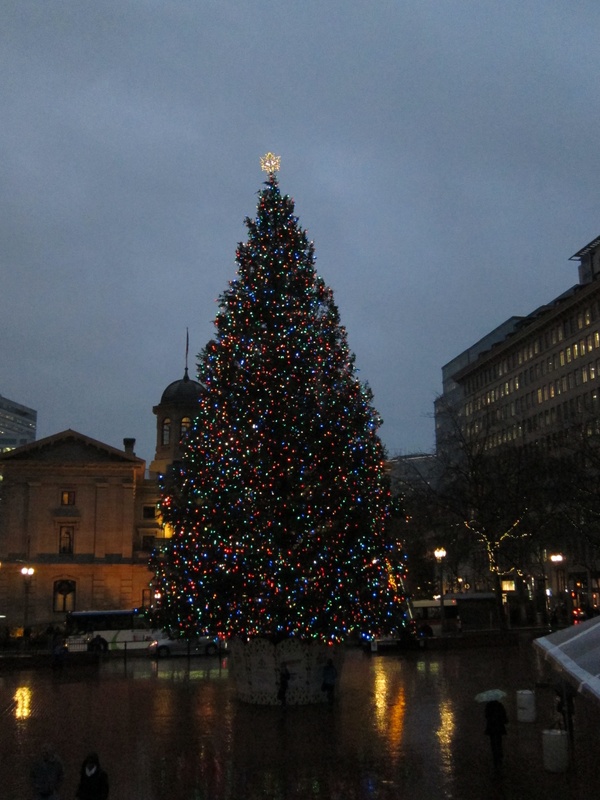 The giant fir tree was lovely. 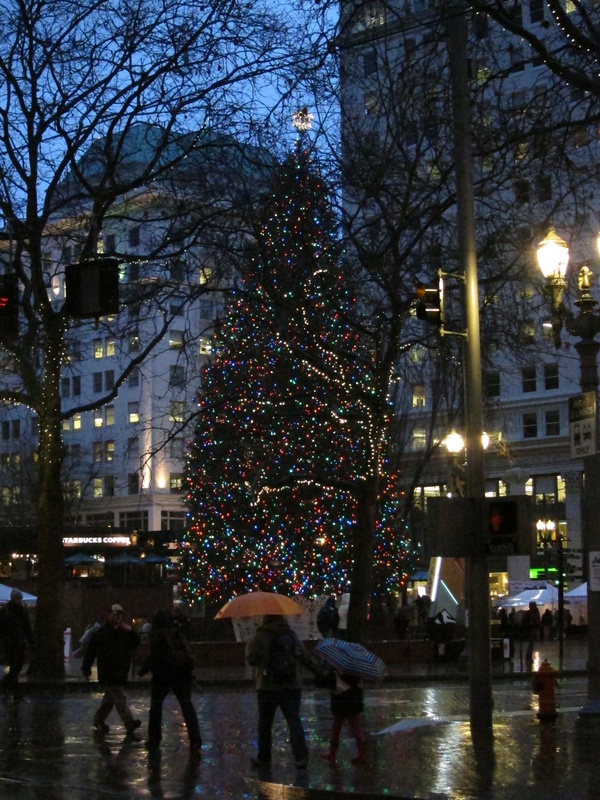 Tags: Christmas lights, Enchantment, Holidays, Portland, rain, stormy weather, Winter | Permalink. This post makes me want to move to Portand. How beautiful! Happy new year, Kate!